Former Special Assistant to the President (SAP) Bong Go pushed for vital legislations to address water shortage and scarcity of water sources in Metro Manila as well as communal impounding water supply facilities in far-flung areas of the country. 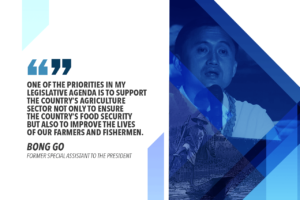 Go said he and local political stalwarts barnstormed Calamba City and rural areas in Laguna, especially the depressed areas and Laguna de Bay coastal communities to see the real situation on the ground. 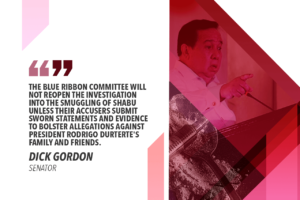 The former presidential aide’s motorcade blazed through congested areas and slums from Calamba to the highly-populated villages in Cabuyao City, Barangay Sinalhan in Sta. Rosa City, Barangay Malaban in Biñan City and San Pedro City in Laguna’s first and second districts. 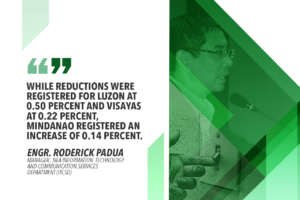 Go proposed for more validated studies to tap more sustainable water sources from the Calabarzon Region like the Kaliwa Dam in the hinterlands of Quezon and Rizal provinces; Cardona treatment facility in Rizal and Laguna water supply sources, including plans on filtration and treatment facilities from the country’s biggest living lake, Laguna de Bay. “Silipin nating mabuti yan. Yung Calabarzon nga po isa sa mga sources ng tubig, isa po yan sa ating sisilipin pagdating ng panahon if these need legislation (We have to look into that closely. Calabarzon is one of the water sources, and we have to conduct timely studies that need legislation). I will take a look on it,” Go said, assuring protection and conservation of water sources for sustainable development. The proposals stemmed after parts of Metro Manila recently experienced water supply shortage and disrupted service from water service provider Manila Water Company Inc., prompting President Rodrigo Duterte to meet with water officials and executives of concessionaires Manila Water and Maynilad Water Services. Subsequently, the Senate called for a probe which delved into Metro Manila Waterworks and Sewerage System (MWSS) being caught flat-footed when it fell short of its mandate in monitoring concession agreement, enforcing rates and service standards and on reporting regularly performance of the concessioners and infrastructure assets to the public. Go mulled for legislation and review of the water agencies on enhancing water sources like the establishment of communal and local government-owned water supply system to address water shortage. “Sa ngayon tulungan natin ang ating LWUA (Local Water Utilities Administration), upang masolusyunan ang problema sa tubig at hindi lang po sa Metro Manila kundi pati na rin sa ibat-ibang lugar na malalayo na kailangan po talaga ng pasilidad para magkaroon na po sila ng maayos at malinis na tubig (for now, let us help the LWUA to solve the water problem not only in Metro Manila but also in other far-flung areas needing access to facilities for safe and clean water),” he said. His sortie stretched to almost five hours, spelling out the needed services for constituents such as being “special assistant for the people” and “bridge to the President” to them in his mid-afternoon address before the multi-sectoral assembly at a San Pablo City multipurpose hall. Go told the crowd that early on before the campaign season, there are already some 34 Malasakit Centers established in government hospitals across the country to set up a one-stop-shop for the expeditious health care delivery system, free medical services and medicines for the poor. “Lahat po ng ating mga plano, tulungan po natin sa murang pabahay, scholarship sa mga estudyante, serbisyong medikal, Malasakit Centers bilang bahagi sa mas pinaigting na health services sa ating mga kababayang may mga karamdaman (all our plans, let’s help them on affordable housing, students’ scholarship, medical services, Malasaki Centers as part of our intensified health services for our sick compatriots),” he said, citing the need for affordable and decent housing and basic services for those living in the slums. Go said the President’s signing into law of the Universal Health Care for all Filipinos has complemented the goals of the Malasakit Center with PhilHealth being tasked as lead agency for the fund allocations with health services hubs ensuring a zero-balance billing under the hassle-free scheme. 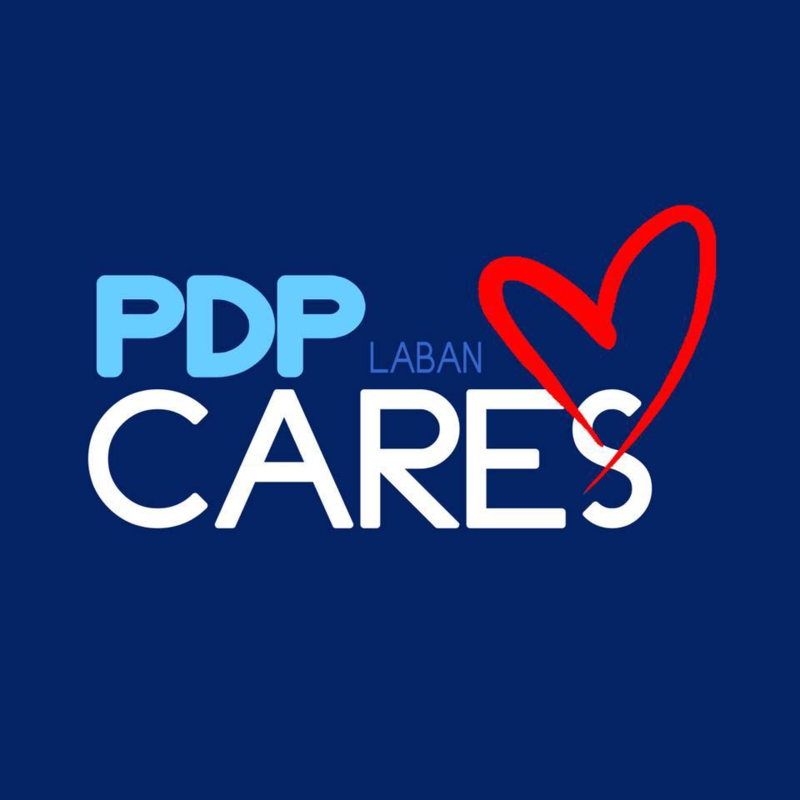 The former SAP also thanked Laguna residents for their overwhelming warm welcome amid the summer heat and vowed “to continue his people-centered, service-oriented advocacies, especially the poor Filipinos in every nook and corner” where these services are mostly needed. Go spelled out his 12-point legislative agenda which support the President’s relentless war against illegal drugs, criminality, corruption and on the Magna Carta for barangay officials, medical services and the Malasakit Center, affordable housing, agriculture, education, senior citizens, localized peace talks, sports development and the establishment of a Department of Overseas Filipino Workers’ Affairs.